JF Engineering is the major Organization in offering Plain Big OD Washer fasteners to the clients. Plain Big OD Washer is manufactured by utilizing the supreme quality material under the supervision of experienced team at as per national and international market standards. This product is stringently checked by the quality auditors on well defined parameters. Subsequently, we offer it at industry driving costs to satisfy our far reaching customers. We offer most-suitable and defect-free Plain Big OD Washers that meets the stringent norms of international standards. It has amazing features such as resistance towards frequent rusting. These dimensionally precise washers have a larger external circumference and lesser inner circumference for easy use and convenient distribution of load. These washers are cleverly produced with the most exceptional advances technologiesavailable in different size, measurements and finishes. 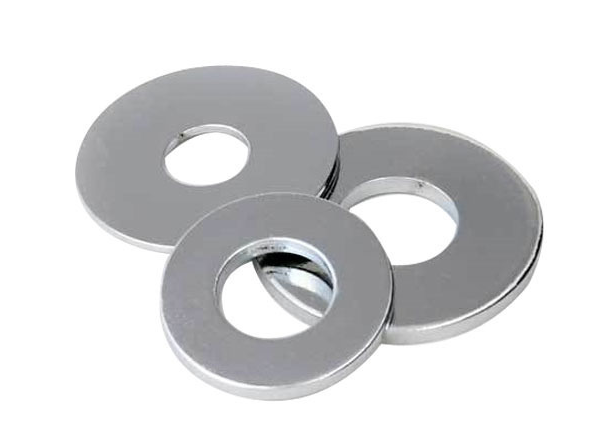 We have a vast range of Plain Big OD washer, which is manufactured using quality material and many clients appreciate our product because of its high tensile strength, durability and corrosion resistance.